I love my future father-in-law. He's more a part of my life than my actual dad. But he is SO HARD to shop for! Every year Michael and I agonize over the perfect Christmas gift for him, and we usually come up short. But not this year. This year I think he is going to be very happy with his gift, thanks to JORD watches! The word "jord" is Swedish for earth, soil, or land. 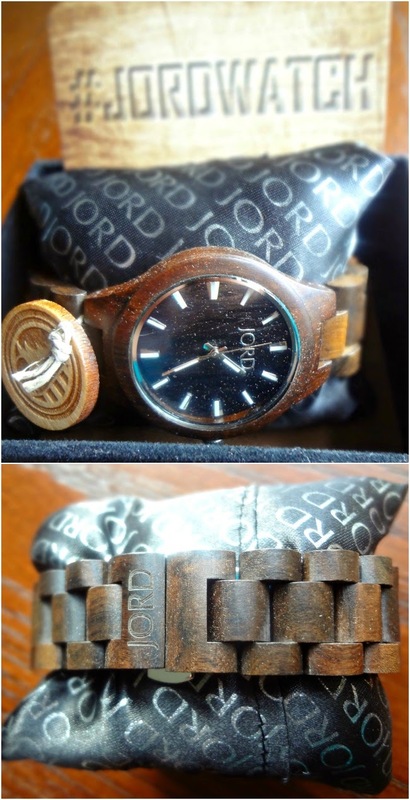 And Jord Wood Watches is all about an appreciation for natural elements, but with a modern design. Made up of a collective of artists, designers, and seasoned watchsmiths, JORD watches not only incorporate wood-they feature it! The intricacy and multiplicity of the woods they use means each watch is one of a kind. 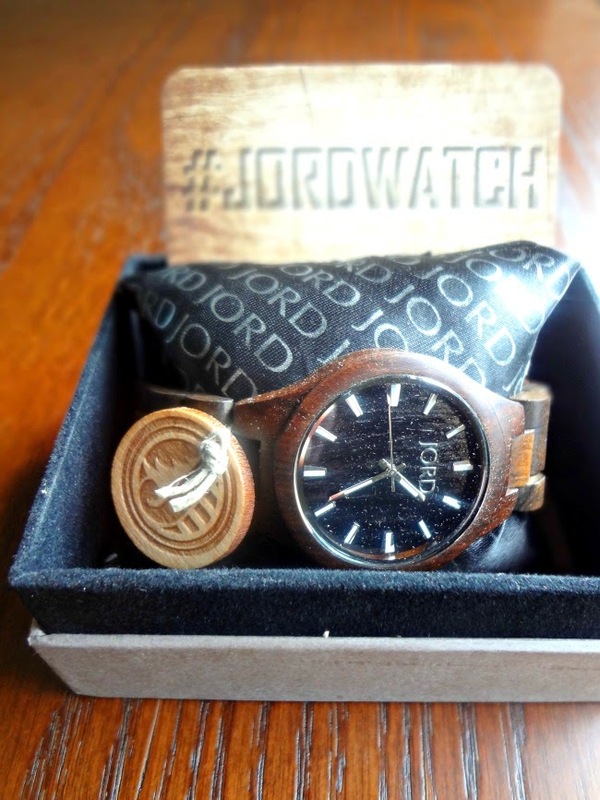 And, a super sweet feature, on the website there is a JORD watch specialist there to chat with you if you have any questions or concerns! Whether you're shopping for a special man or woman in your life-JORD has got you covered! Ranging from the uber masculine (and rare) 746 watch to the super pretty (and my personal fave) Cora series (their 1st official lady's watch) with tons of versatile (and unisex) options in between, you will have no problem falling in love with a beautiful, unique, wood watch! I cannot wait until Christmas! And, if you're thinking about getting a watch for yourself-or are curious for styling or fashion tips for JORD watches-you can check out the JORD blog or #jordwatch. (I *squeeeed* a little when I saw some contestants on The Voice wearing this exact watch! Oooh Chuck is going to be so cool.) 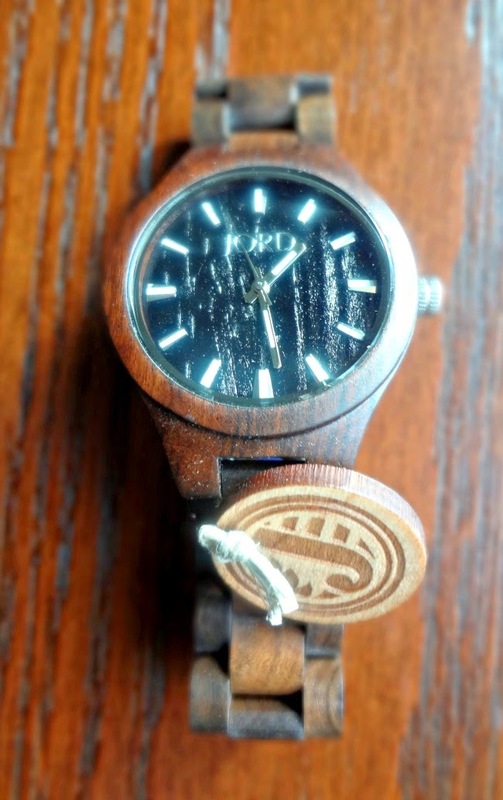 And go order yourself your own wood watch! One lucky Cooking Actress reader will win an $120 gift certificate for JORD! So you can pick whichever watch you like and apply the certificate towards it (depending on which watch you choose, that could mean you get one for free)! Giveaway closes December 11, 2014, 11:59PM EST. After the contest is over, I will send the winner an email (so please make sure you provide an email address or some other way to get in touch with you), and get you your prize. The winner will have 3 days to respond or another winner will be chosen, all prizes will be awarded. The winner will be chosen via a random number generator. Open WORLDWIDE for people over the age of 18. NO PURCHASE NECESSARY. 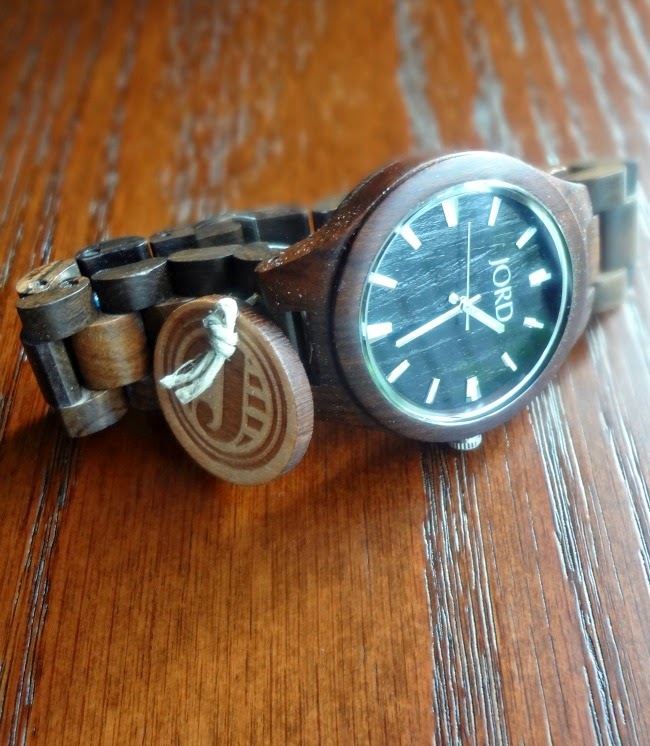 Fill out the entry form here: http://www.woodwatches.com/giveaway/signup#1 and when you're finished leave a comment on this blog with the unique code generated from the entry form. "Like" JORD Wood Watches on Facebook-leave a comment on here letting me know. Follow @woodwatches_com on Twitter-leave a comment telling me you did. Disclaimer: JORD provided me with a complimentary watch and is sponsoring this giveaway, and I was under no obligation to review if I so chose. Nor was I under any obligation to write a positive review or host a product giveaway in return for the free product. My opinions, as always, are all my own. We are not liable for technical failures or typographical errors, or resolving identity disputes related to the winner.VOID WHERE PROHIBITED BY LAW.